Cold smoking the food remains raw rather than cooked throughout the smoking process. Smokehouse temperatures for cold smoking are typically done between 20 to 30 °C (68 to 86 °F). In this temperature range, foods take on a smoked flavor but remain relatively moist. 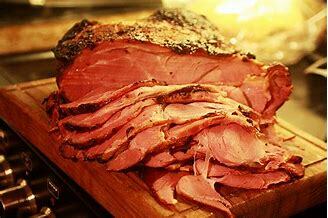 Cold smoking does not cook foods and as such, meats should be fully cured before cold smoking. Some cold smoked foods are baked, grilled, steamed, roasted, or sautéed before eating. Cold smoking is not something that should be attempted at home. Exposes food to temperatures of 73-104° F (23-40° C). Warm smoking gives the food a different texture than cold smoking. The food receives more smoke flavor in its outer layers. This dry second skin helps increase shelf life, as well as prevent the loss of its natural juices. Hot smoking exposes the foods to smoke and heat in an oven or smokehouse. 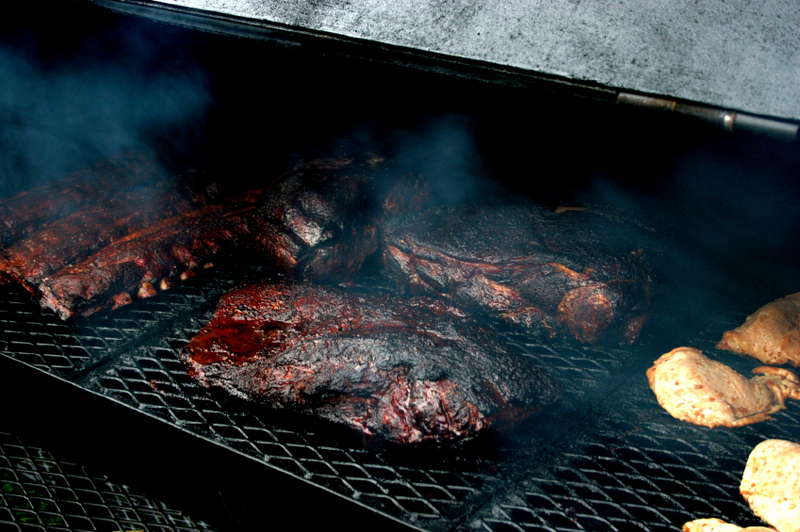 Food is hot smoked by cooking and flavored with the wood smoke simultaneously. Hams and ham hocks are fully cooked once they are properly smoked and can be eaten as is without any further preparation. Hot smoking usually occurs within the range of 52 to 80 °C (126 to 176 °F). When food is smoked within this temperature range, foods are fully cooked, moist, and flavorful. 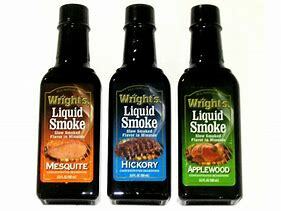 Liquid smoke, a product derived from smoke compounds in water, is applied to foods through spraying or dipping. Liquid smoke is a water-soluble yellow to red liquid used for flavoring. It can be used to flavor any meat or vegetable. It is generally made by concentrating the smoke from wood but can contain any number of food additives. Smoke-roasting refers to any process that has the attributes of both roasting and smoking. This smoking method is sometimes referred to as barbecuing or pit-roasting. It may be done in a smoke-roaster, closed wood-fired oven or barbecue pit, any smoker that can reach above 250°F / 121°C, or in a conventional oven (one you don’t mind having smoky all the time) by placing a pan filled with hardwood chips on the floor of the oven so that the chips can smolder and produce a smoke-bath. 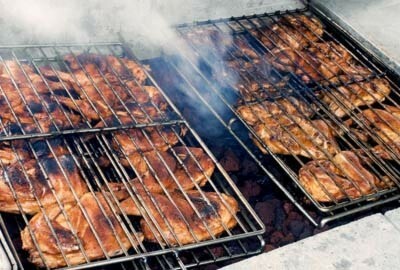 In North America, this smoking method is commonly referred to as "barbecuing", "pit baking", or "pit roasting". 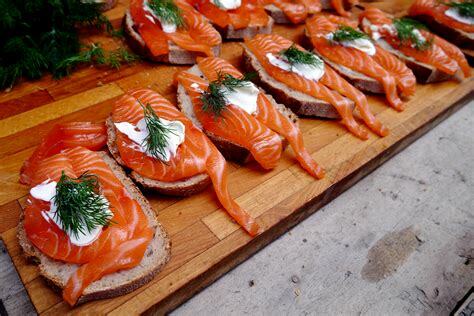 Did the pictures get you hungry?